I've been searching for an anime on and off for the last few years. I've tried searching the internet and various anime websites with the descriptions I can recall about the show but to no avail unfortunately. I probably watched the anime anywhere from 6 to 10 years ago, it's hard to recall, from what I remember it was about a boy, probably anywhere from 14 years of age to older, had shorter to medium spikey hair, not as outlandishly spikey as vegetas, but more semi realistic, I'm not to sure on the hair color, I cant recall. 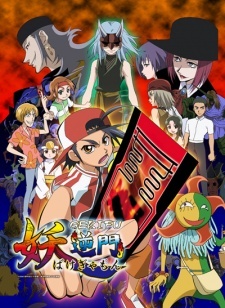 I remember he was very serious all the time, the show in general was very serious, no comedy like other card game shows such as yu-gi-oh, I'm pretty sure it was the intention of the creators to make a serious anime to this genre as the market was flooded with light hearted silly card based animes at the time. I remember the boys eyes were serious looking, and smaller more realistic anime eyes, like those of the characters in attack on titan, and not the stereotypical cartoony anime eyes like those seen in yu-gi-oh. The boy gets transported to another world. In this new world he's transported to he is controlling real life monsters in battles, most are creature based like dragons and such, but I recall maybe he had a humanoid monster he would summon, that's what made him special, he was the only one or one of few that had humanoid summons. I'm not entirely sure if there was a card game involved at all but I thought that's how I originally found the anime is by looking for a card game type anime on the internet to watch. I remember starting to watch it thinking it was going to be another silly light-hearted card game type anime for kids, but being surprised that there was a much deeper and satisfying story and set of characters, I couldn't stop watching the show until I had finished it completely, he may have not used cards at all, I just remember he would always use his hands to summon monsters, like they were important or the monsters came out of his hands or something, I cant remember if it was because he was summoning them somehow with cards or other device or maybe just with his hands themselves. Regardless the boy is now in this new world battling with these monsters, he may still be using cards in this new world to summon these monsters, I can't remember, and he gets mixed up in a war or conflict in this new world, there is a girl, I can't recall if she is a princess but I believe they end up falling in love, or at least he develops strong feelings for her. I remember the ending of the series pretty well, the boy ends up defeating the opposing army or series villain who the people he is helping are fighting against, and after maybe a heartfelt goodbye to the girl he developed feelings for, he is transported back to his own world. He is last seen in his own world on top of a building, possibly a skyscraper, or maybe even just a grassy hill, but pretty sure it was a metal building, I can't remember if he was in a wheel chair or not, with the wind blowing and possibly one of those huge metal wind turbines spinning in the background somewhere, and him swearing he'd make it back to that other world somehow to that girl, or at the very least he was thinking of her as they showed us she was also thinking of him. The series wasn't too long if I recall, it may not have been more than 24 or so episodes, I really don't remember, it may have been closer to 54. I remember I watched it online and it was subtitled, to my knowledge I'm not sure if it has ever had an English release or dub. I don't remember a princess, but everything else sounds like Bakegyamon. It was a little earlier than 10 years ago, but only by a couple of years and you could have watched it a bit later. Without warning, Sanshiro is taken to a backwards universe to play BakéGyamon--a game pitting monsters against monsters. Along the way he meets other players who have a particular reason for being there--to obtain the wish that is granted to the winner. There are definitely cards and real monsters and the character development was quite good from memory.